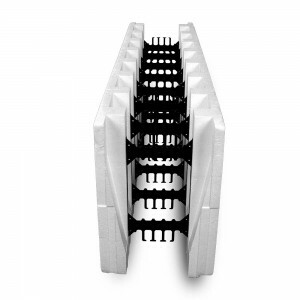 Extra Heavy-duty Attachment Points (495lbs.) Located every 8-inches vertically, and 6-inches horizontally. 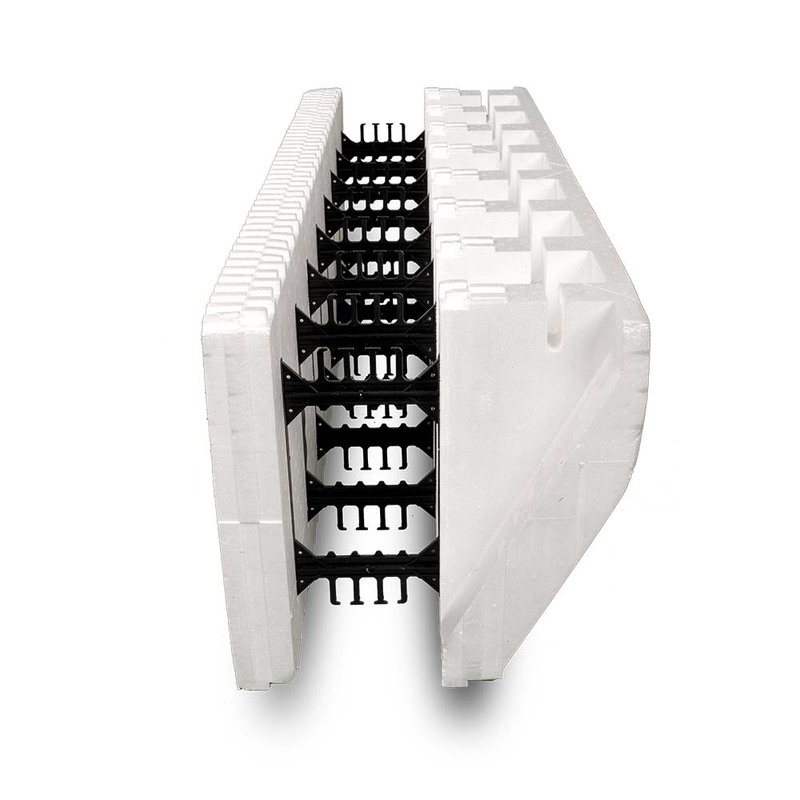 *10″ & 12″ and larger core sizes are available using the BuildLock Knockdown block product for thicker walls and special needs such as pilasters. 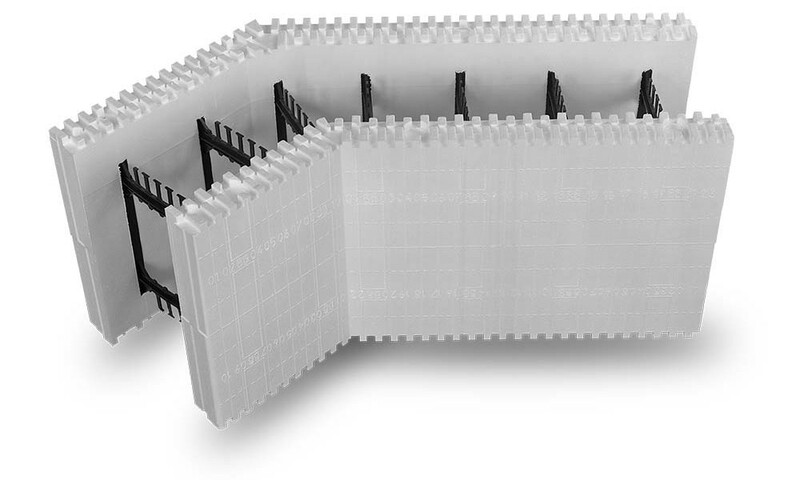 All BuildBlock products use the same interlock pattern and will integrate together. 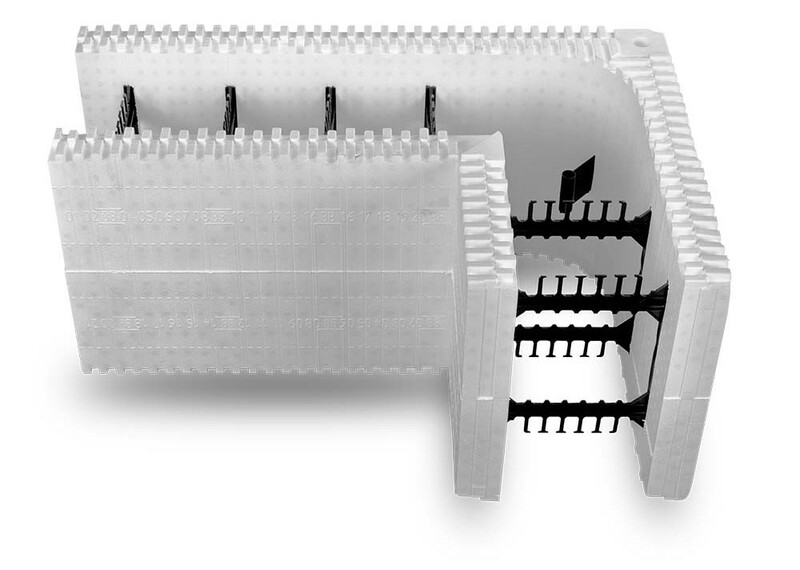 *All BuildBlock products use the same interlock pattern and will integrate together.